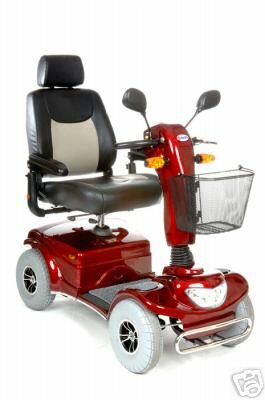 The Road King heavy duty 4 wheel scooter brings outstanding features, 4 wheel stability and elegant styling together with rugged construction for an increased weight capacity of 450 lbs. 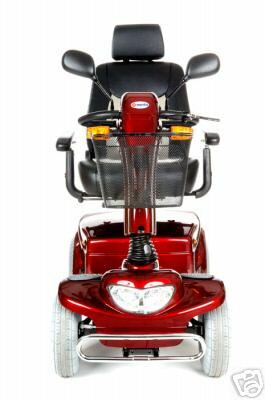 With a list of standard features like a 20" reclining captains chair with adjustable headrest and armrests, 360 degree swivel and front to back sliding seat, full light kit including head light, tail lights and directional signals. The road king offers many heavy duty features including four wheel advanced suspension system, top speed of 8.6 m.p.h., large 12" tires with a 5" ground clearance and front and rear bumpers. 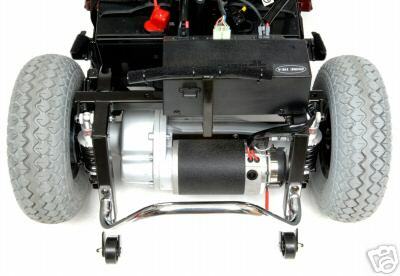 This unit is great for outdoors over rough terrain, but compact enough to maneuver well indoors and to fit easily on a standard scooter carrier. 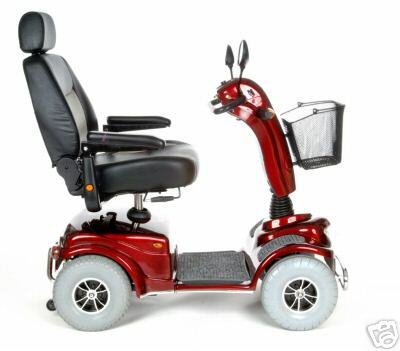 Maximum speed of 8.6 mph. 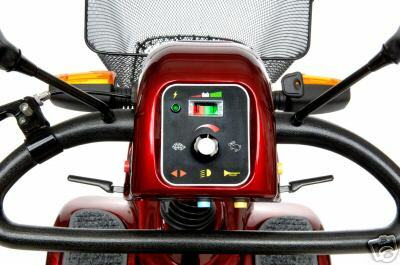 Automatic safety steering, half speed during turning. 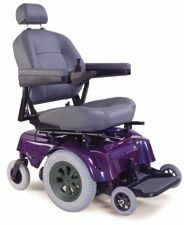 20" High back captains seat with 360 degree swivel and front to back slide. 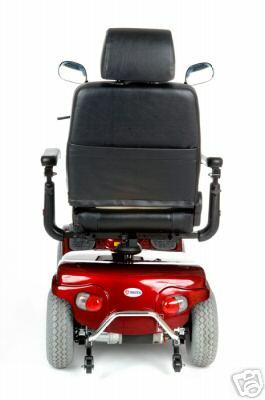 Height and width adjustable armrests. "Delta" tiller for easy hand controls.